Participants learned how development affects classroom interactions and the link between effective teacher-child interactions as it relates to learning. Training included an overview of the CLASS measure and its uses, and prepared participants to assess teaching quality based on the CLASS system. Dr. Brent McBride presented on strategies that allow university-based child development laboratory schools to balance the demands associated with providing high-quality early care and education services while maximizing teaching, research and outreach/engagement activities. This event was hosted by UNL Child, Youth and Family Studies and NAECR. Dr. McBride is one of the leading researchers in the area of father involvement in families of children with disabilities. His cutting-edge research provides critical insight on how to better support fathers struggling within this challenging parenting context, as well as early intervention personnel working with these families. The second NAECR Knowledge series took place Feb. 7 with a training event designed to highlight video data collection, administration and coding. More than two-dozen people attended the event, “Video Data Collection, Administration and Coding,” to learn more about ways video can aid data gathering and early childhood research. The NAECR Knowledge series began Nov. 14 with a training event designed to highlight Box features and data security. More than 20 people attended — in person and via video conferencing — to learn more about Box's most useful features, and to discuss how to share secure data using the collaborative file storage tool. What is Nebraska Extension and how can it support early childhood research? 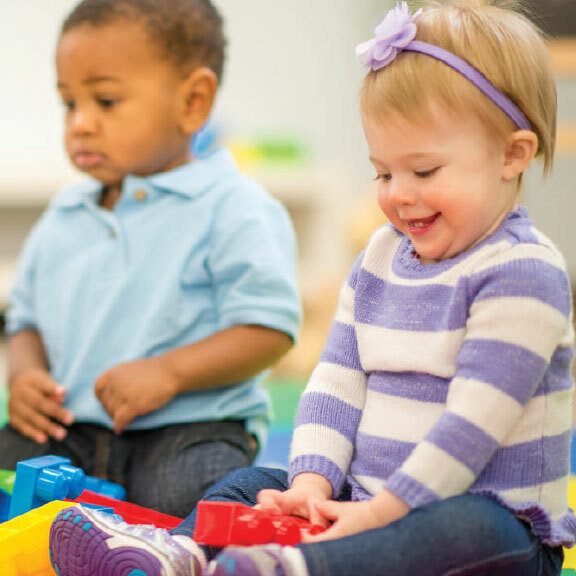 How can early childhood research be used in Extension materials and educational programming? Hear researcher teams share their work and how they have partnered with Extension, and explore opportunities for future collaborations. NAECR sponsored Pre-K CLASS observation training for University of Nebraska early childhood researchers on May 1 and 2, 2018. Participants received an overview of the CLASS measure and its uses, as well as training to assess teaching quality based on the CLASS system. The fifth biennial CYFS Summit on Research in Early Childhood was held on Wednesday, April 25 at Nebraska Innovation Campus Conference Center. The summit consisted of numerous presentations and related roundtable discussions on the research and practices that are improving the developmental trajectories of young children. The mission of this two-day working meeting is to bring together researchers, policymakers, and practitioners from the University of Nebraska-Lincoln and Brazil to improve young children’s lives through global interdisciplinary research collaboration, and to share evidence-based practices that promote the intellectual, behavioral, and social-emotional development and functioning of young children. We envision this initial meeting as a starting point for long-lasting and engaged research partnerships between Brazil and Nebraska. The Nebraska Center for Research on Children, Youth, Families and Schools (CYFS), the Buffett Early Childhood Institute and First Five Nebraska hosted the fourth biennial CYFS Summit on Research in Early Childhood on Thursday, April 7 at the Lincoln Marriott Cornhusker Hotel. The summit consisted of numerous presentations and related roundtable discussions on the research and practices that are improving the developmental trajectories of young children. This free, daylong event also included lunch and an evening reception for all registered participants. The Nebraska Center for Research on Children, Youth, Families and Schools (CYFS), the Buffett Early Childhood Institute and First Five Nebraska invite you to review proceedings from the 2014 CYFS Summit on Research in Early Childhood held April 10, 2014 at Wilderness Ridge in Lincoln, NE. The Nebraska Center for Research on Children, Youth, Families and Schools (CYFS) and the Buffett Early Childhood Institute (BECI) invite you to review proceedings from the 2012 CYFS Summit on Research in Early Childhood held April 25, 2012. Welcome to the 2010 CYFS Summit on Research in Early Childhood website brought to you by the Nebraska Center for Research on Children, Youth, Families & Schools (CYFS). This year's theme was Creating Connections Between Research and Practice.